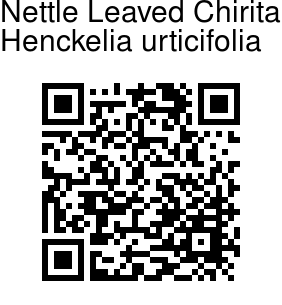 Nettle Leaved Chirita is a herbacious plant with unbranched stem, 20-45 cm tall. Flowers are red-purple, streaked with yellow in the throat, funnel-shaped, 2-lipped, drooping, up to 5 cm long. They are borne one to several, on sparingly hairy stalks. Flower tube is inflated on the upper part, with rounded petals. Sepal cup is bristly-haired, 2-3 cm long, with lance-shaped sepals. Leaves are elliptic, long pointed, saw-toothed, up to 13 cm long. The name Chirita is derived from a Sanskrit name. 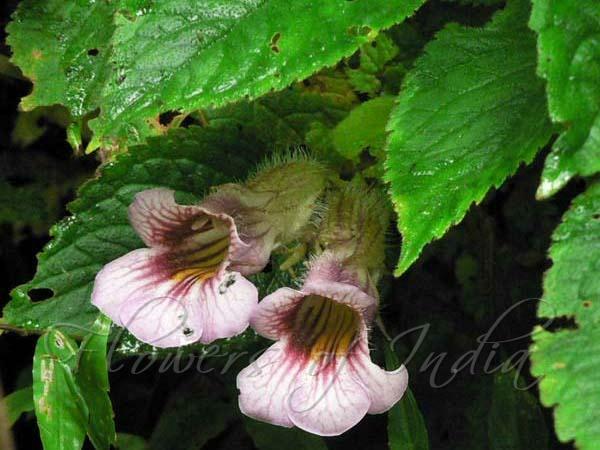 Nettle Leaved Chirita is found in the Himalayas, from W. Nepal to SW China and Burma, at altitudes of 1000-2400 m. Flowering: August-September.